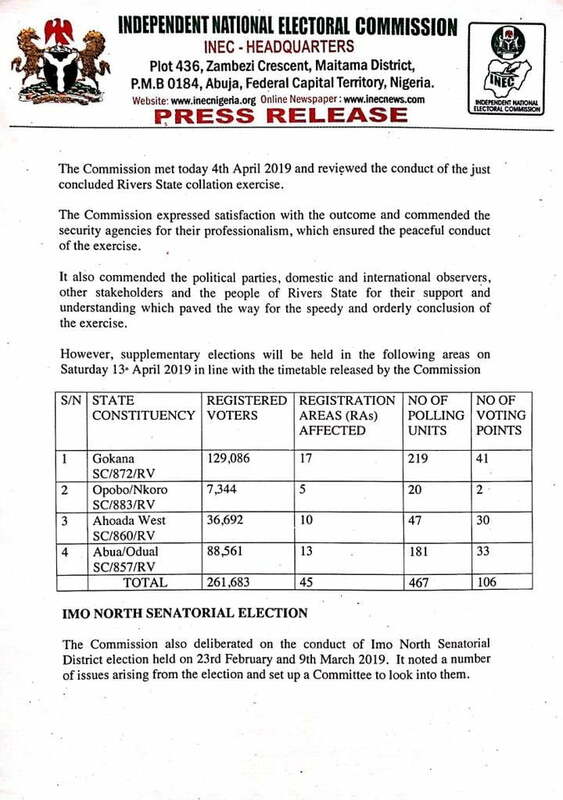 The Independent National Electoral Commission (INEC) has concluded plans to hold supplementary elections in Rivers State on Saturday, 13th April. 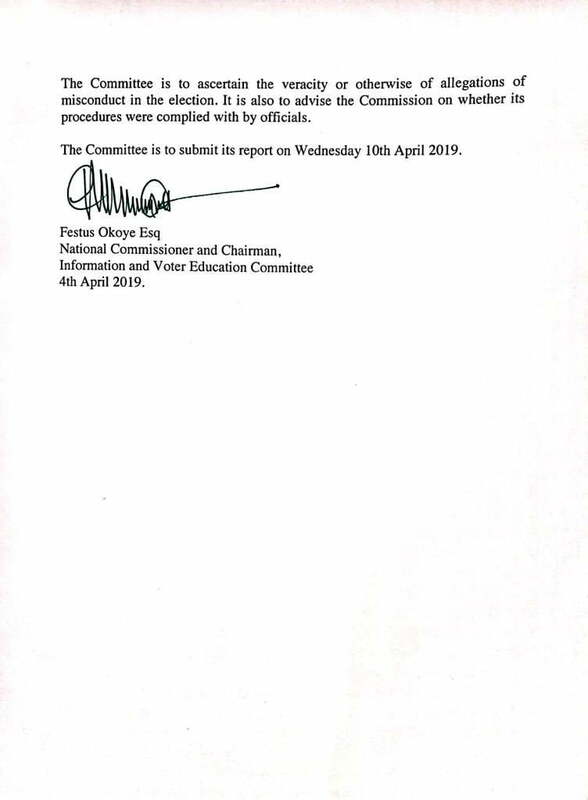 This was disclosed by the commission on Thursday in a statement signed by Festus Okoye, National Commissioner and Chairman Information and Voter Education Committee and made available to Naija News. This online platform recalls Nyesom Wike of the Peoples Democratic Party, polled 886,264 votes to defeat his closest challenger in the state’s governorship election, Biokpomabo Awara, candidate of the African Alliance Congress (AAC), who garnered 173,859 votes.